Sandringham Wood is a specialist financial services recruitment consultancy, based in Bristol. We work with employers and candidates throughout the UK; providing them with a market-leading, professional recruitment service. 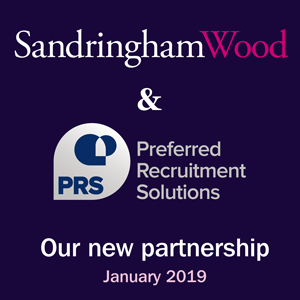 In January 2019, we partnered with Preferred Recruitment Solutions (PRS), a fellow Bristol-based financial services recruitment consultancy who share our core values and ethos. This partnership means our clients and candidates benefit from the combined experience, expertise, support and network of both our firms. Both candidates and employers benefit from our detailed knowledge of the financial services profession, specialist experience and wide network of contacts. We work to your priorities and tailor our service to each client and candidate. We are renowned for our consultative approach, and productive and honest advice. To find out more about how Sandringham Wood can help you or your business please get in touch – we’d love to hear from you.